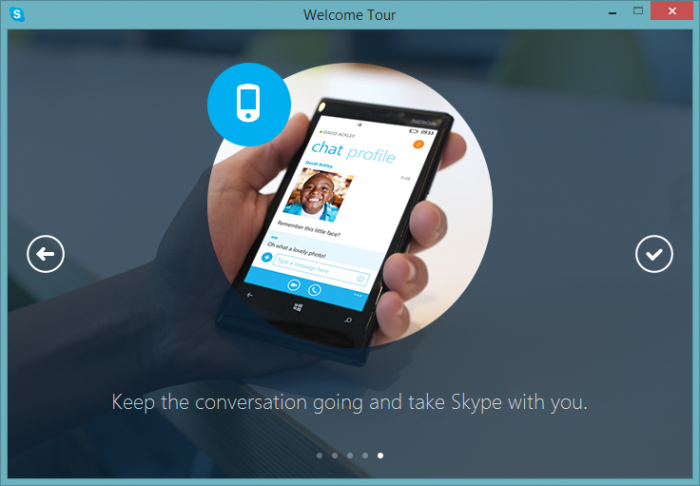 Skype’s popularity grows day by day and Microsoft keeps on improving Skype by releasing one version after another. The latest Skype 7 is a major Skype release and as expected, you will see a lot of visual changes in the user interface. The new Skype 7 comes with a much clearer interface. The full version of Skype at the time of this writing is Skype 7.2.0.103. 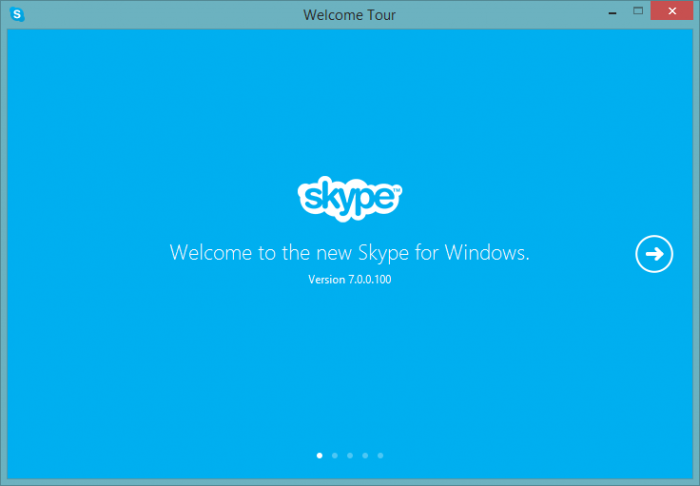 If you go to Skype’s website, you will normally get to download a web based installer of Skype. The installer will need to download the latest installation files after running. Let’s go through some of the new features of Skype and then head to the direct download links to the Skype offline installer which doesn’t need further downloading anything from the Internet for installing completely. The first change is obviously the complete revamp of the user interface. The new interface is more robust and modern. Skype is available on majority of the platforms so you need only one user credential to login to Skype on any device you’re running. A web version of Skype is also in the making. You can also use Outlook.com email interface to chat with your Skype contacts. One of the greatest features of Skype is group video calling. 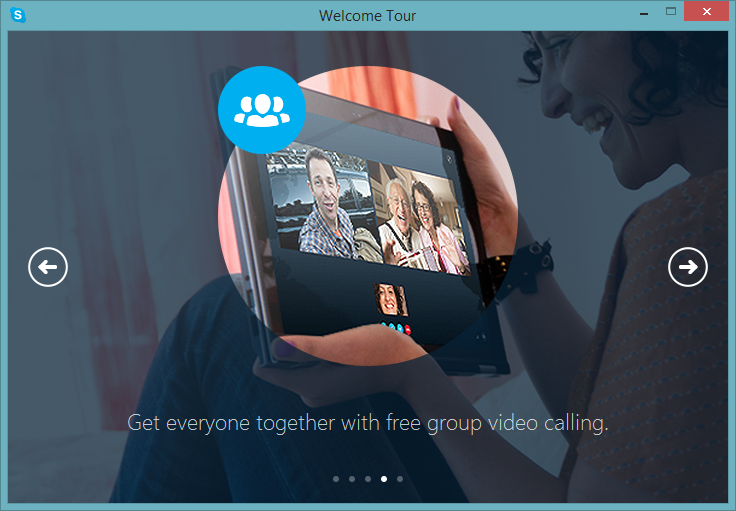 This feature was included in the premium of Skype previously but now it is offered for free. With Skype 7, photo and file sharing has become easier than ever. You can either drag and drop the file or photo to the Skype window to share it with your contact or click on the attachment button which sits right inside your typing field. The only thing that I didn’t like about the new Skype is Contacts search field. 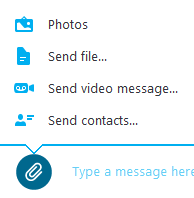 The contacts search field is located at the left top of the Skype window just below your profile picture. This position is a little uncomfortable for me. It would have been great if it was integrated inside the Contacts list. No. the “new interface”is just crap. WHY dont keep the same interface as always, why broke what works? if someone wants a new UI just put on a button on settings. the new UI is several steps backwards from previous (6. * ) .